Dr. Jenny Tian is a Senior Lecturer at School of Hotel and Tourism Management (SHTM), The Chinese University of Hong Kong (CUHK). Currently she serves as Programme Director, MSc in Management of Real Estate and Hospitality Assets. 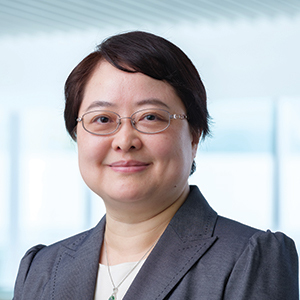 Dr. Tian joined SHTM in 2007 after obtaining her PhD in Business Administration from Marshall School of Business, University of Southern California, US. She also had an MPhil degree in Management from CUHK. Before that she had obtained a Bachelor’s and a Master’s degree in Economics from Shanghai University of Finance and Economics (SUFE), China. She previously worked at SUFE and City University of Hong Kong. Currently she teaches strategy, human resource management, and organisational behaviour courses at SHTM. Her research primarily focuses on the effects of executives’ and directors’ human and social capital on corporate governance, CEO succession, merger & acquisition decisions, and corporate performance. Jenny Jie Tian, J. Haleblian, and N. Rajagopalan (2011), “The Effects of Board Human and Social Capital on Investor Reactions to New CEO Selection,” Strategic Management Journal, 32(7), 731-747. Jenny Jie Tian and Chung-ming Lau (2001), “Board Composition, Leadership Structure and Performance in Chinese Shareholding Companies,” Asia Pacific Journal of Management, 18(2), 245-263.